The beauty of the flower business is not just the actual bloom, but the availability of the flowers based on season. Most varieties of cut flowers are continually available from some source around the world, but our favorite source by far is local! We love partnering with Steve and Gretel of Sunny Meadows Flower Farm. Ohio can be very limiting with such a short growing season, but are mastering commercial flower farming. We applaud their efforts, quality, and customer service! More importantly, we are proud to offer their blooms at Market Blooms. Stop by and see what's locally in season! It’s finally here! That one time a year when you say “OMG…I sound like my Mother, I look like my Mother, I’m acting like my Mother” and you totally embrace it. Yes, It’s Mother’s Day! It’s time to honor that sweet soul who constantly reminds you that you were a big headed baby. So, how did this day of reckoning come about? The American incarnation (remember that word ‘carnation’) of Mother’s Day was created by Anna Jarvis in 1908 and became an official U.S. holiday in 1914. Following her mother’s death in 1905, Anna conceived Mother’s Day as a way of honoring the sacrifices mothers made for their children. Guessing that the sacrifices back then were a bit different than today. No driving to 2 a day swim practices, replacing the phone you left in the bathroom, understanding why you hated her when you turned 13, and accepting the increase in the insurance premium when you started to drive. Surely, all relative to the times. Anna’s original conception of the holiday was a simple celebration between mothers and families. She wanted children to visit their mothers and have mom wear a white carnation (the official Mother’s Day flower) as a badge of honor. She involved the floral industry as a way of raising the profile of the celebration… thank you, Anna! Without Mothers like Patricia, Hope, Rita, Josephine, MaryAnne, Lara, Debbie, Tina, and the list goes on, there would be no Market Blooms. We are grateful for all of these Moms. 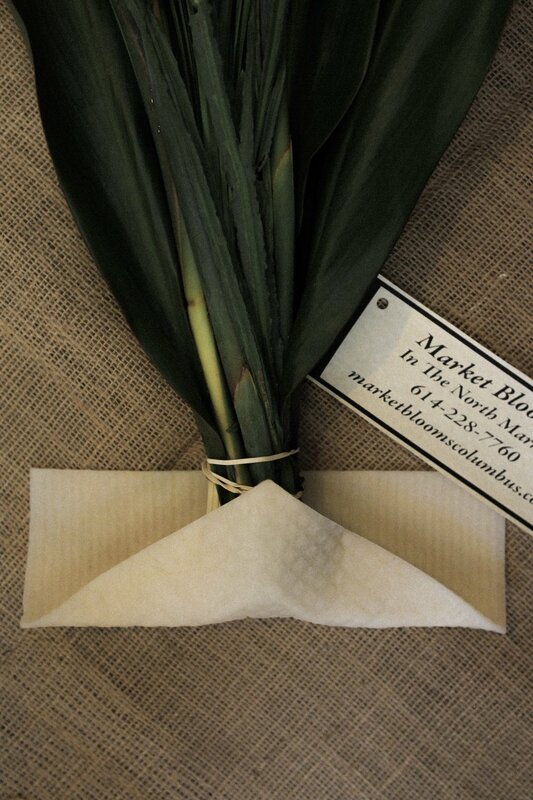 Just an FYI…..we will be offering more than just the ‘white carnation’ at Market Blooms this week. Flowers are arriving from Holland, California, South America, Thailand, and most importantly, local. It’s our honor to help you honor your Mom. Feel free to place an online delivery order or call the store and we can discuss your needs. We’re not just good looking… we’re smart too! For over 28 years Market Blooms has been ‘easy on the eyes’ as locals and visitors have enjoyed our daily display of fresh flowers. 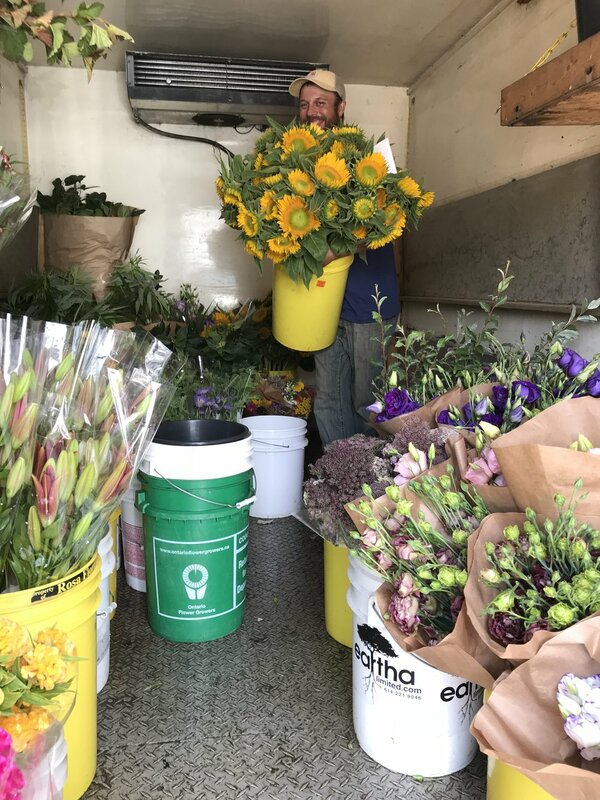 It’s always a pleasure assisting North Market guests with their flower selection and watching them leave with an arm load of happiness. However, sometimes being pretty is just not enough. It’s all about the service when you are a small business competing against the ‘big boxers’. We always try and stay competitive with abundance and pricing, but can easily kick their butts with our knowledge, design, and great sense of humor. In order to provide even better service, we now offer same day delivery online or with a call to the store. We have your back in case you forgot an anniversary, birthday, or just need to make someones day better. We may be a David in size, but we are a Goliath in service. Easter is a wonderful celebration of family, friends, faith, food, and flowers. Sporting your new Easter outfit for church, the first bite of that chocolate bunny ear, dressing up your poor defenseless pet, coloring eggs with your favorite ‘peeps’, and then hunting them with your 80 year old Mother! It’s a perfect time to embrace and enjoy traditions. 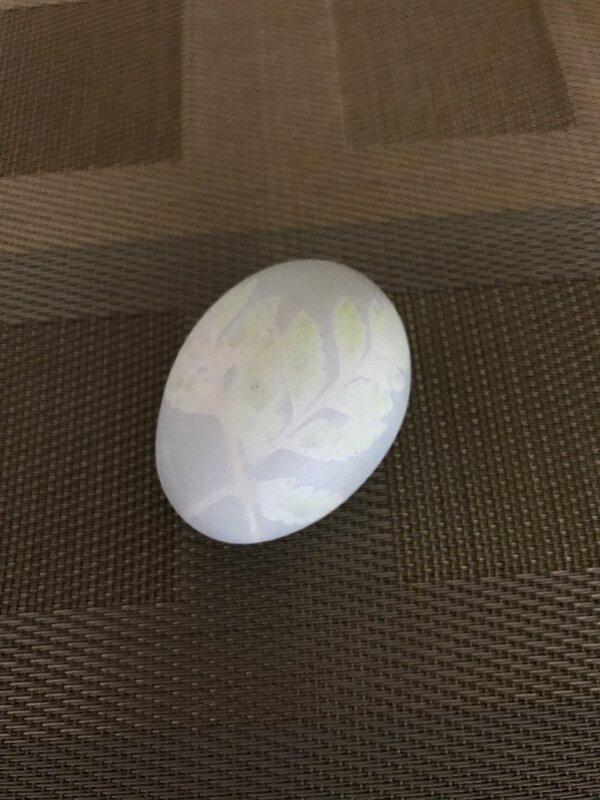 Easter egg dying is an ancient tradition giving a nod to spring, rebirth, and life. These colorful eggs were also used as gifts for family and friends. For some, the ease of purchasing an egg dying kit to get the job done is simply not enough. You need to let your creative energies flow, make something old new again, and go au natural! Here’s a suggestion. First, hard boil the eggs. Wrap small blooms or foliage around the eggs (a touch of water might help it stick). Next, hold in place and tie with a piece of nylon hosiery (yes… they still make those). Place your eggs in a pan filled with either red cabbage or onion skins and fill with water. Bring the water to boil and then remove the pan from heat and cover it with a lid. Leave it to cool for a few hours and then place the pan in the refrigerator overnight. Finally, remove the eggs from the pan, unwrap, and wipe them dry! Give yourself a ‘high five’, chest bump, and sing ‘Celebrate Good Times’ because it worked! Almost! The red cabbage did not color well. Next time we would try an extra day in the fridge or beets... Have a Happy Easter and happy coloring! We are offering the Eco Fresh Bouquet Wrap to keep your flowers fresh, hydrated, and full of life all day long. It's simple to use and easy for you to re-use. This biodegradable wrap will keep your bouquet happy and beautiful even if you want to stop for happy hour after work - after all, it's always a good idea to support the environment, your neighborhood flower shop, and the local tavern! We start by soaking the Eco Fresh Bouquet Wrap in water and wrapping it around the freshly cut stems of your handmade bouquet. Next, we wrap the wet cloth with a dry sleeve and tie it closed with a rubber band to insure there's no stray water in your hand tied bouquet! We wrap this in burlap and tie it all closed to reveal a beautifully presented and ecologically friendly alternative to traditional vased arrangements. Want to send this fun and eco friendly bouquet to someone in the city? Check out our online offerings or call the store if you would like something custom. We guarantee its freshness with this wonderful Eco Fresh Wrap. After 6 months of working hard with web designer Dan Petrovski of Sparked Elements and photographer Danielle D'Onghia, Market Blooms is ready to launch its new and improved website. For over 28 years we have tried to make it easy for customers to purchase fresh, affordable, and inspiring flowers in Columbus. Our new website enhances this with our online ordering feature. Check out our wonderful floral options and the ease of placing an order for flower delivery in Columbus. Whether you need same day delivery or one a week from now, you can take care of this in minutes on your laptop or phone. Check it out - we look forward to hearing from you soon!